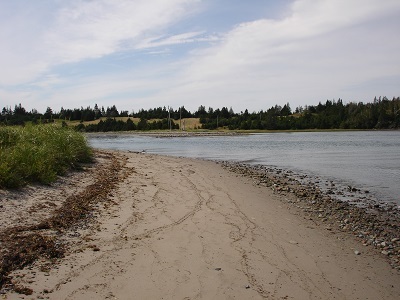 McCormacks Beach Provincial Park is in the Eastern Shore region at Eastern Passage (turn right at Quigley’s Corner, parking lot on right). Adjacent to the popular Fisherman’s Cove, the park features an extensive boardwalk and provides a beautiful view of Eastern Passage, McNabs, Lawlor and Devil’s islands, Eastern Passage, and Halifax Harbour. A few picnic shelters are available.